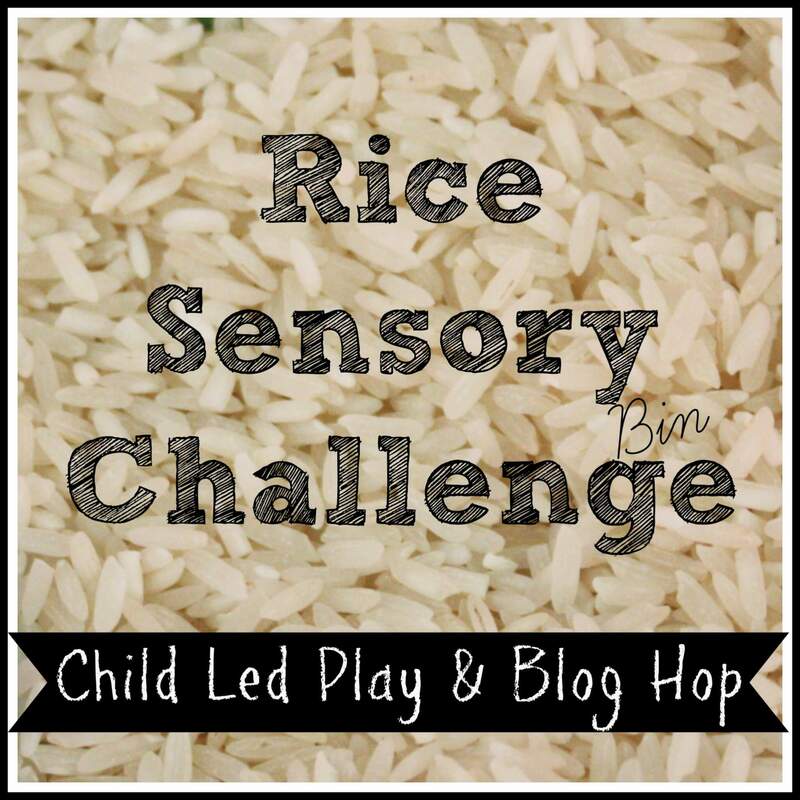 This was a completely spontaneous sensory bin originally created by my preschool son as part our Rice Sensory Bin Challenge Blog Hop (a must read)! As our child led rice sensory bin unfolded, he was loving the pirate theme and crafted this fun bin to play with together. 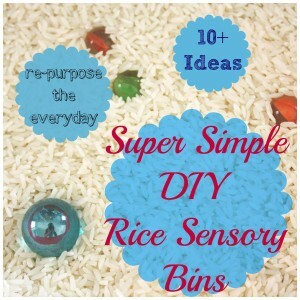 So simple and inexpensive. 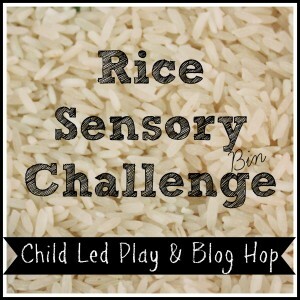 You really don’t need fancy materials or toys for a treasure hunt. Your child has all the fun in his imagination already. 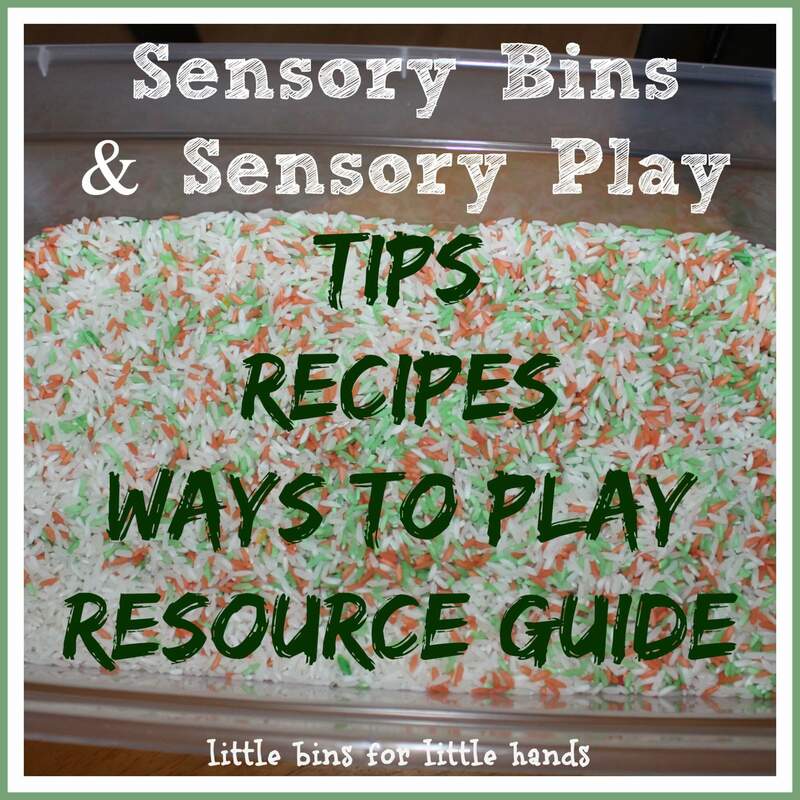 I find adding a book to be a fun way to expand and extend the play. Pirate hat optional but way cool! 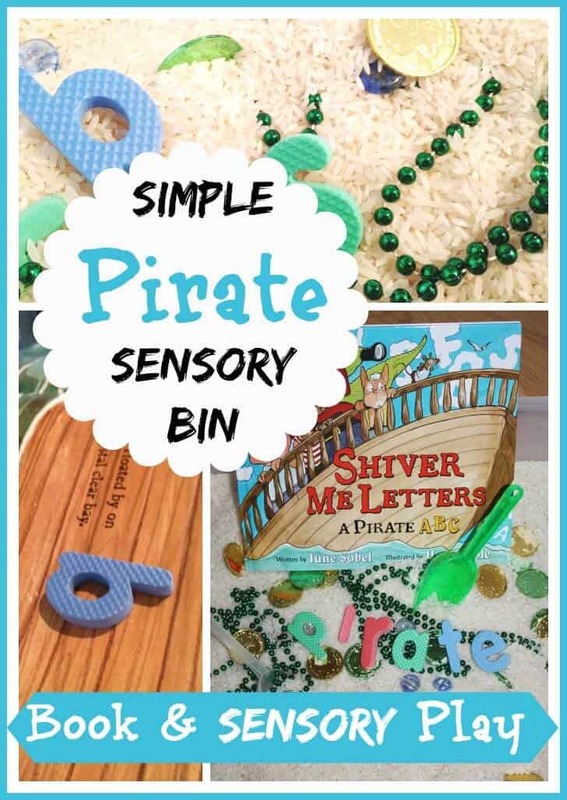 He picked out this exact pirate book and asked me to find some letters for his original rice sensory bin. Of course, he had found coins, necklaces, and gems for his pirate booty already. 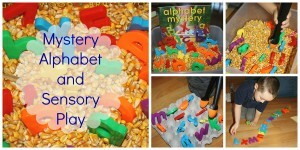 I had this very simple foam lower case ABC puzzle from the dollar store already. I popped out the letters and mixed them around. We read along with the book which sends pirates hunting for the alphabet letters for their captain. We are working on lower case letters, so it was great practice for him to see the upper case letters and then have to find the lower case letters to match! Of course there was lots of digging, counting coins, and finding buried treasure along the way! Do you love pirates too! Look for more fun pirate play coming soon! 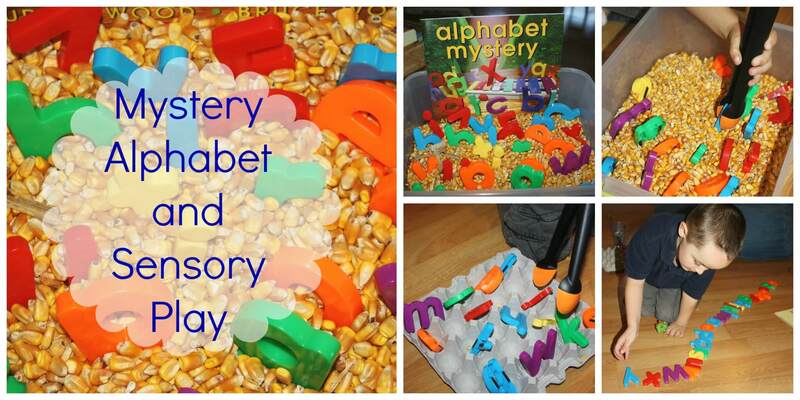 Another fun alphabet hunt and book play idea! 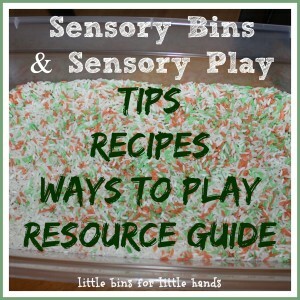 Farm Sensory & Hands On Play Products You Might Like! I am an Amazon Affiliate and receive a very small compensation from any products you purchase. All our activities are always free to enjoy!